Coil 3X / 8D is compact, lightweight and small enough to fit in a pocket or handbag. 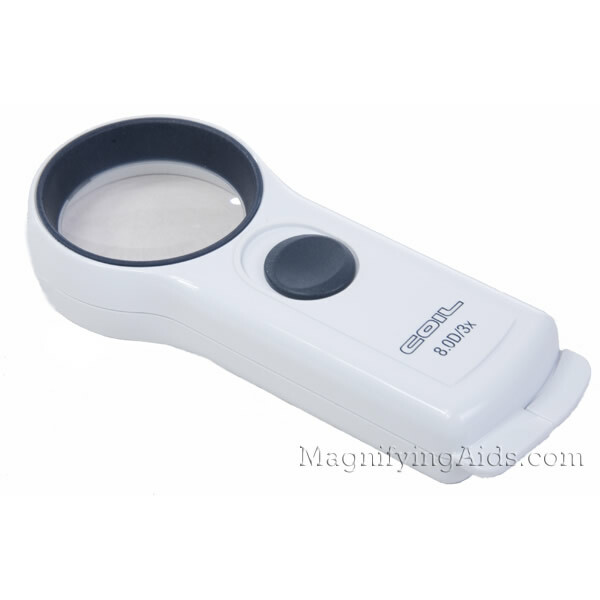 Lenses measure 1.88 inches and handles measure 3 inches. Bi - aspheric lenses are optimized for minimum distortion and maximum clarity. Tungsten bulbs provide evenly distributed light. Comes with a protective pouch.